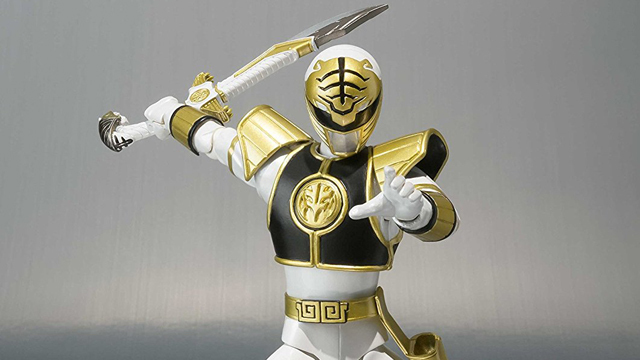 SH Figuarts is bringing one of pop culture’s biggest properties of all time to its line of figures, Harry Potter. 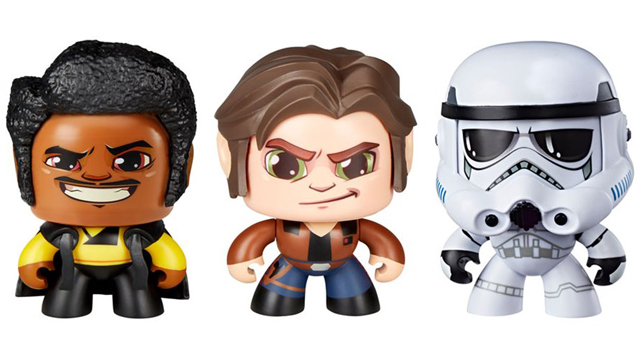 The line will start with three of the biggest characters from the books and films. 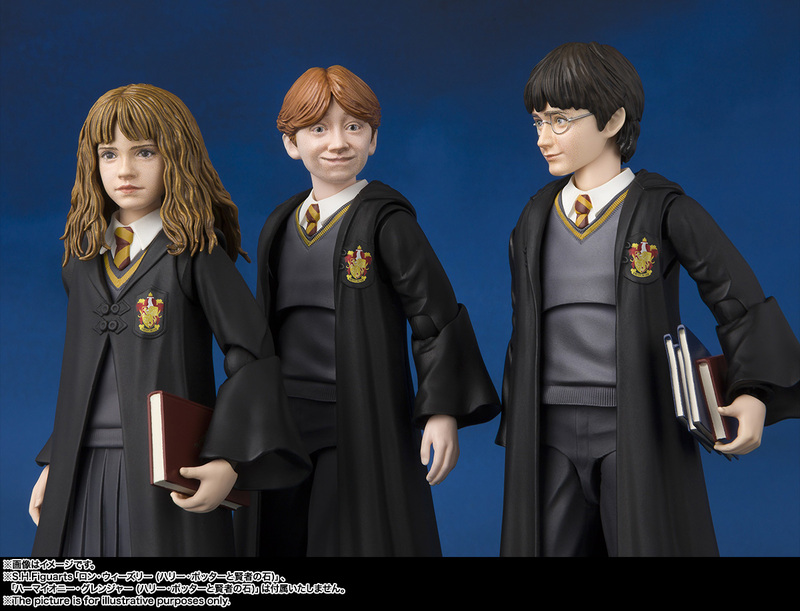 The young heroes, Harry Potter, Ron Weasley and Hermione will be a part of the first assortment. Their likeness will be based on their appearance in Harry Potter and the Sorcerer’s Stone. Harry ships in November 2018, Ron in December 2018 and Hermione in 2019. 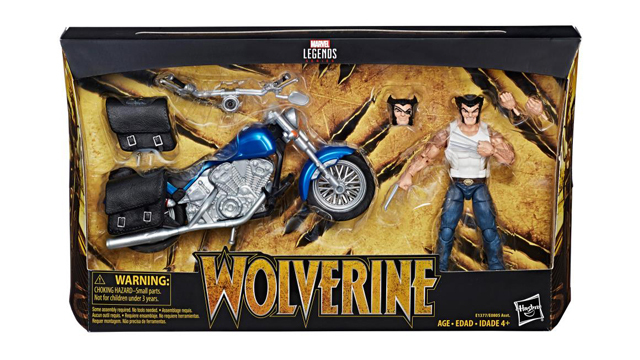 All three are currently available for pre order on Entertainment Earth. 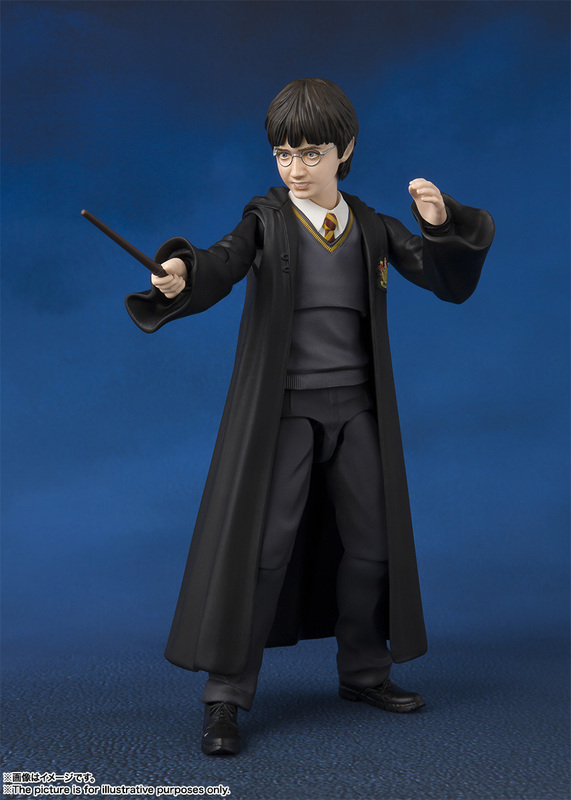 Harry Potter joins the SH Figuarts series as an accurately sculpted, digitally colored, and highly posable action figure — even the neck can be posed! 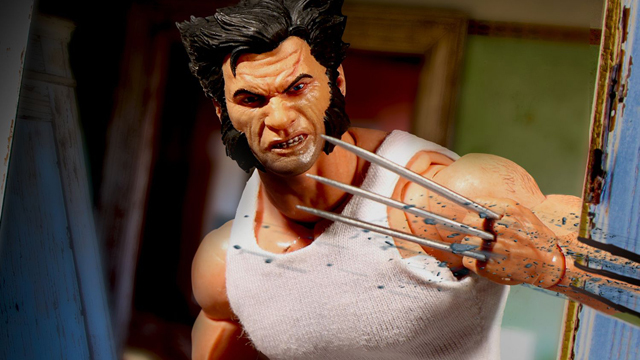 Harry comes with a wealth of accessories, including his wand, his owl Hedwig, and his Nimbus 2000 Racing Broom, letting you re-create your favorite scenes from the films. 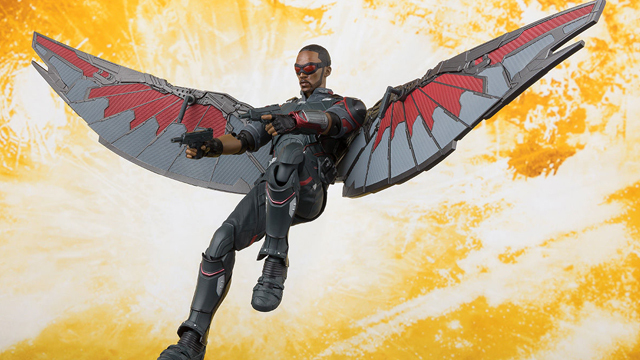 Hedwing comes with optional parts that can be swapped in for an open-wing pose, and Harry has optional legs that can be swapped in to let him ride his broom. 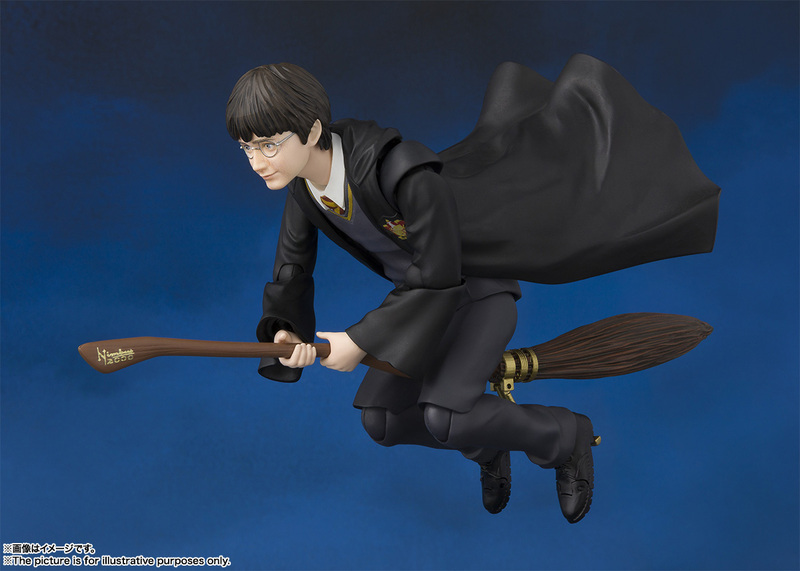 The Harry Potter and the Sorcerer’s Stone Harry Potter SH Figuarts Action Figure includes 2x optional facial expression parts, 3x optional pairs of hands, his magic wand, a textbook, a robe, the Nimbus 2000, and Hedwig with optional open wings. Measures about 4 7/10-inches tall. 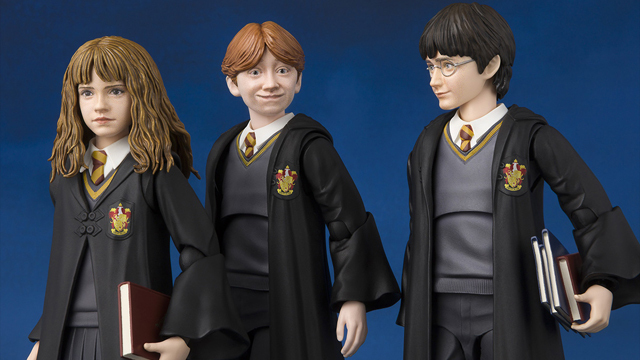 Harry Potter’s friend Ron Weasley joins the SH Figuarts series! 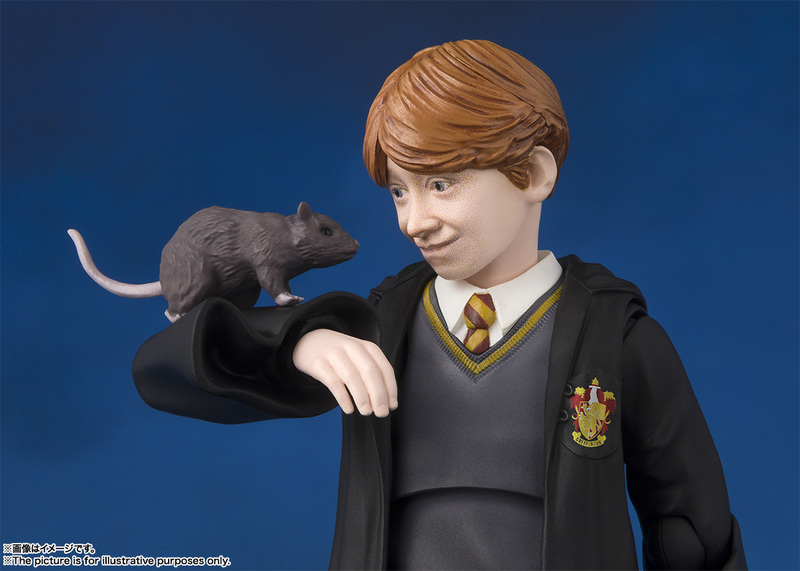 This accurately sculpted, digitally colored, and highly posable action figure includes Ron’s rat Scabbers and a magic broomstick. 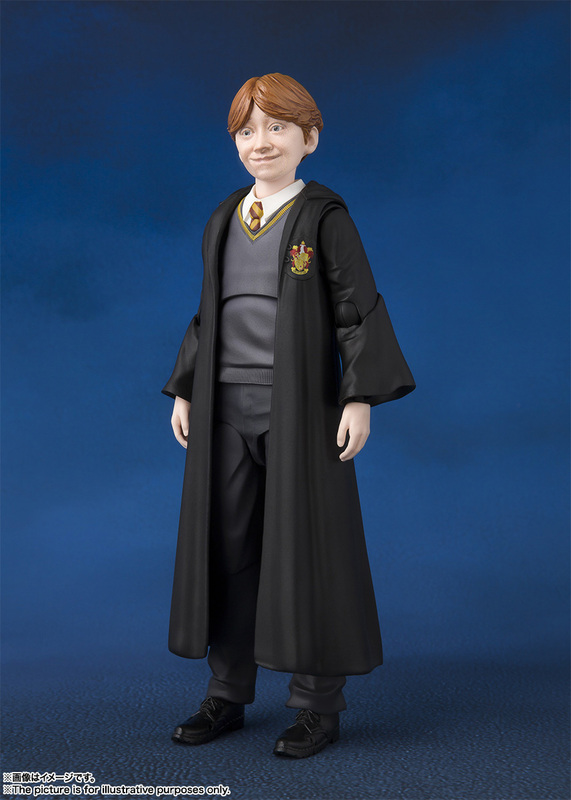 The Harry Potter and the Sorcerer’s Stone Ron Weasley SH Figuarts Action Figure also includes an optional facial expression part, three pairs of optional hands, a textbook, and a robe. Measures about 4 7/10-inches tall. 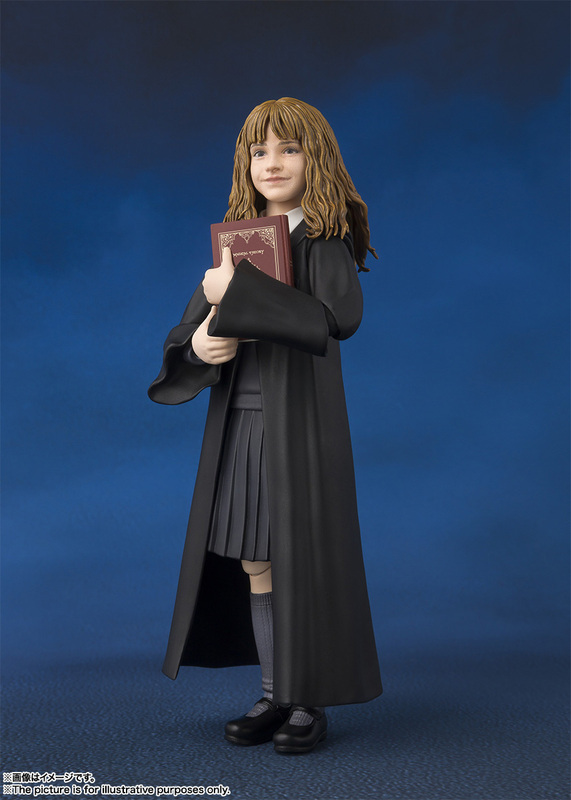 Harry Potter’s friend Hermione Granger joins the SH Figuarts series! 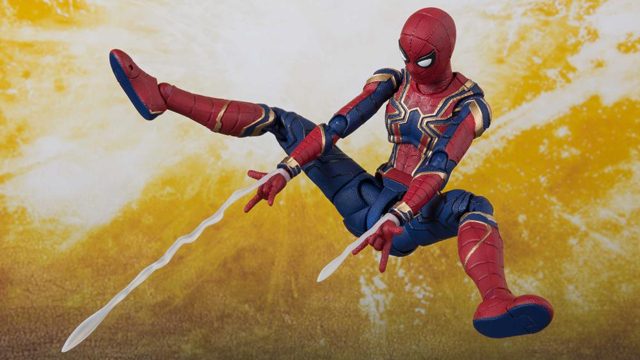 This accurately sculpted, digitally colored, and highly posable action figure comes with a magic wand, a textbook, a purse, and the Sorcerer’s Stone. 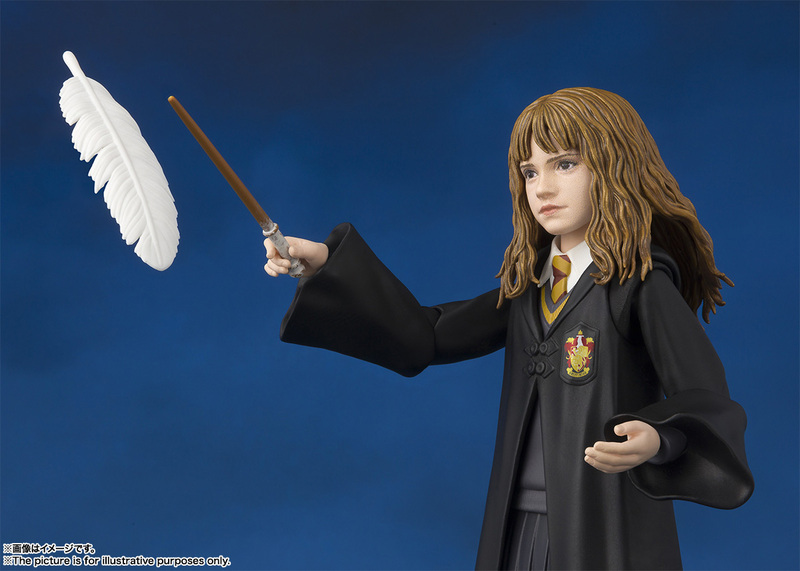 The Harry Potter and the Sorcerer’s Stone Hermione Granger SH Figuarts Action Figure also includes optional facial expression part, three pairs of optional hands and a feather accessory. Measures about 4 7/10-inches tall.